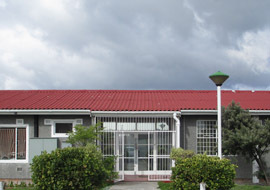 The Mitchell's Plain School of Skills provides students who have had difficulty in a mainstream academic context with an alternative educational setting more conducive to their specific needs and learning abilities. 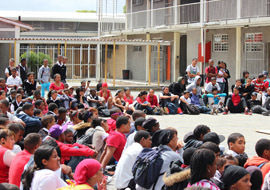 The Mitchell's Plain team fosters an environment for students that promotes self-discipline and motivation and assists students in developing skills to become economically independent and self-sufficient adults who will succeed in the workplace and contribute responsibly to the community. 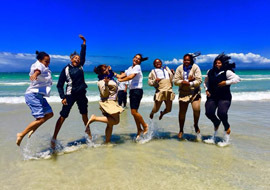 Unlike other Skills Schools, Mitchell's Plains School of skills connects their students with internships in their fourth year that provides them with real world job experience and further provides them with employment opportunities both within the township and in the wider Cape Town area. 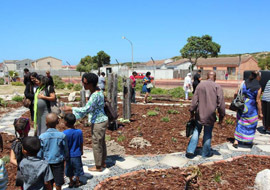 As a licensed pilot program, the Mitchell's Plains School of Skills encompasses 548 active learners and 35 dedicated teachers who offer literacy and numeracy skills to augment the skills training.